Pacific Gas and Electric Company (PG&E) extended its daily aerial smoke detection patrols in portions of its service area an additional two weeks. SAN FRANCISCO--(BUSINESS WIRE)--Pacific Gas and Electric Company (PG&E) extended its daily aerial smoke detection patrols in portions of its service area an additional two weeks. PG&E launched the patrols in June to assist the U.S. Forest Service, CAL FIRE and local fire agencies with early fire detection and response during the highest-fire risk months. Early detection of smoke or fire allows fire agencies to quickly respond to accurate locations. PG&E will continue operating fixed-wing aircraft to spot smoke along two routes, from Auburn to Auberry in the Central Sierra, and Vacaville to Solvang through Nov. 15. PG&E extended flights in these areas that have not received significant rain and remain dry. “PG&E is focused on public safety and reducing the wildfire risk in California. In addition to the work we do every day on the ground to ensure our infrastructure is operating safely, our aerial patrols will continue to help fire agencies identify and respond to potential fires where dry conditions still exist,” said Pat Hogan, senior vice president of electric operations at PG&E. All flights were previously scheduled to conclude on Oct. 31. The company uses fixed-wing aircraft to fly four routes and contributed funding to the Mendocino County Aerial Patrol Co-Operative for a fifth route over Mendocino County. This is the fourth year of the program. From mid-June when the flights began through October 31, the patrols spotted a total of 218 fires and, in 21 instances, were the first to report the fire to CAL FIRE or the U.S. Forest Service. In 2017, nearly 3,350 hours of flight time have been recorded through October. The patrols flew during the last five hours of daylight, roughly from 3 p.m. until dusk – the time of day when wildfires are most likely to ignite because hot, dry weather is at its peak. Last year, fire spotters identified a total of 142 fires. Increased foot and aerial patrols along power lines in high fire-risk areas to twice a year, and up to four times a year in some locations. Conducted secondary patrols along 61 percent of miles of power lines in 2016 and expects to patrol 65 percent of miles of line a second time in 2017. The U.S. Forest Service estimates that more than 100 million trees have died in California since 2010. Homeowners can reduce risk by removing dead trees on their property and properly maintaining healthy trees by pruning and watering as necessary. 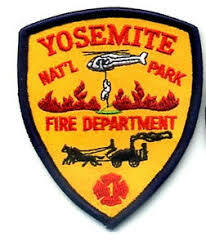 Today Yosemite Fire began a prescription burn in the Mariposa Grove of Sequoias. As of 5pm the area treated consisted of 70 acres. This included 20 acres in unit 11 and the remaining 50 in unit 4. We are seeing a minor increase in fire behavior on the west hand line in unit 4 as it burns into the heavier dead and down fuels. There is currently moderate smoke production with smoke dispersal to the NE. Tomorrow we are expecting the upcoming storm to bring significant rain and snow over Yosemite. This may be a "fire season ending event". With this, the Yosemite fires that are currently active may still smolder but will likely not produce much smoke. We expect to still see light, visible smoke on the Empire and Starr King fires. Rain and snow will hamper prescribed fire efforts but will allow firefighters the ability to shift from wildfire management to prescribed fire management in the Mariposa Grove and to begin pile burning throughout the park. If conditions are too wet to do prescribed burning, fire crews will shift to thinning projects around developed and high risk areas. Local News: After the wine country fires, what happens to the crops? In one week, more than 2 million gallons of retardant were dropped in California—a record, according to Cal Fire, the state firefighting agency. Memories are short. Despite claims to the contrary, wildland fires along California’s west coast and inland valleys have not changed much since the 1964 Hanley Fire, a blaze which burned nearly the same territory as the Tubbs Fire but was even larger. What has changed is human demography. After the wine country fires, what happens to the crops? The full extent of the damage from the northern California wildfires that killed 43 people and destroyed 8,400 homes is still being tallied. The devastation left an obvious scar, but not all the damage is visible. Among the assessments still to be made is what impact millions of gallons of fire retardant—essentially a potent fertilizer—may have on carefully tended plants and soils. Saved by timing, nearly 80 percent of the renowned wine region’s grapes had been harvested when the multiple fires started in early October. And for the most part, the blazes did not linger at the vineyards, which are kept free of grasses and other fire-devouring fuels. But there was collateral damage: bright red slathers of fire retardant dropped from the state’s fleet of supertankers. In one week, more than 2 million gallons of retardant were dropped in California—a record, according to Cal Fire, the state firefighting agency. Cal Fire has the largest aerial firefighting fleet in the world. As planes become increasingly central to fighting fires in California, more and more retardant is served up. On one day during the recent fires, Oct. 12, crews loaded nearly 700 gallons of retardant a minute from dawn to dusk to help slow the fire, according to Cal Fire. By way of comparison: The state’s largest aviation facility, near Sacramento, pumped 1.7 million gallons of retardant into firefighting tankers in 2016. The base has already used more than 4 million gallons so far this year. The retardant, called Phos-Chek, contains ammonium phosphate, a fertilizer. It also includes chemicals to regulate how the slurry drops, emulsifiers that render it gooey so it sticks to targets, and a coloring agent so air crews can track what they’ve dropped. For the most part, the ingredients are disclosed to Cal Fire by the Phos-Chek manufacturer, ICL-Performance Products, LP. But the entire formula is not made public. The chemicals are mixed with water and are generally harmless to humans and most animals, according to the company. But retardants are known to be toxic to fish, so state and national fire-fighting agencies prohibit drops within 300 feet of water sources. But as Western wildfires increasingly move out of forests and into developed areas, firefighters have less wiggle room to target their drops. When a converted 747 jetliner is lining up to release nearly 20,000 gallons of retardant, there’s no guarantee of precision. Pilots are often guided away from water sources and landscapes containing plants that are endangered or otherwise protected by law, using retardant avoidance maps published by the U.S. Forest Service. It’s an issue that’s taken seriously by fire-fighting agencies. Biologists say that a sudden dump of nutrients in soils can encourage the growth of non-native or invasive plants. How those interactions might play out in carefully curated vineyards is not known. Winemakers are famously fussy about soil: It’s what imparts the terroir that gives wines their unique characteristics. Some vintners choose not to use fertilizers of any kind. Walker said not much is known about potential effects of retardants on commercial crops. Previous blazes have raced out of wildlands and into agricultural lands, destroying fruit and nut orchards, hay fields and, increasingly, California’s highly lucrative cannabis plantations. Farmers of such crops have specific guidelines for fertilizing their plants. The Napa County Agricultural Commissioner did not return phone calls for comment. The Wine Institute, an advocacy group for 1,000 wineries and business in California, declined to comment. A representative of a regional cannabis-growing association did not respond to a request for comment. But the Napa County Health and Human Services Agency posted an online warning earlier this month. It stated that although there is little danger in ingesting produce when retardant is present, it’s to be avoided. Walker said plants take in chemicals in soils, but they also can absorb some chemicals to no ill effect. Still, Dennis Hulbert, a retired regional aviation manager for the U.S. Forest Service who oversaw firefighting action in California, said retardants are relied upon too much by overwhelmed fire managers. Permits to burn are still required. Contact your local jurisdiction about requirements for burn permits. For more information on how you can help spare the air in the San Francisco Bay Area you can contact the Bay Area Air Quality Management District at 415-771-6000 orwww.baaqmd.gov. For information in Stanislaus and San Joaquin counties contact the San Joaquin Valley Air Pollution Control District at 209-557-6400 or www.valleyair.org. ForSanta Cruz County you may call the Monterey Bay Unified Air Pollution Control District at 831-647-9411 or www.mbuapcd.org. CAL FIRE is asking residents to ensure that they are prepared for wildfires including maintaining a minimum of 100 feet of Defensible Space around every home. For additional information on preparing for and preventing wildfires visit www.ReadyForWildfire.org.